India had always advocated a ‘no first use’ (NFU) nuclear doctrine based on credible minimum deterrence. Thus India’s nuclear weapons are solely for deterrence and we pursue a policy of ‘retaliation only’. It implies that India would give an adversary an opportunity to strike before it retaliates. 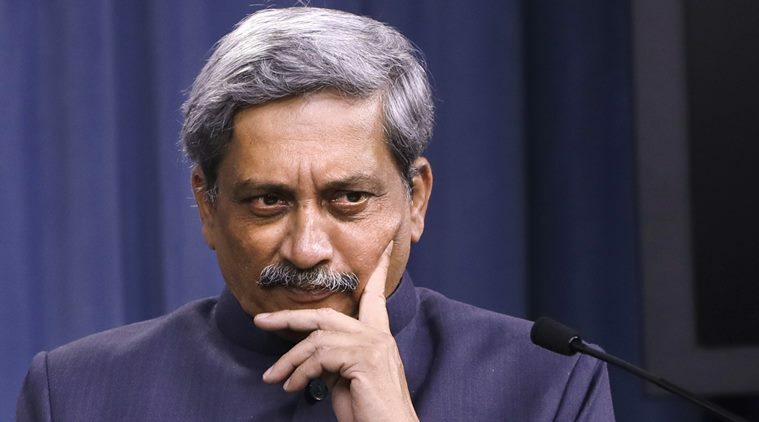 This aspect was recently questioned by the Defence Minister when he commented that India should state that “it is a responsible nuclear power and would not use it irresponsibly, instead of declaring an NFU doctrine”. While these were his personal thoughts and he clarified them as such, they came from the defence minister at a time the Prime Minister was in Japan to ink a spectacular nuclear deal, the first by a non-NPT signatory country with Japan. It immediately drew criticism from all political parties. What is no first use nuclear doctrine? No first use (NFU) refers to a pledge or a policy by a nuclear power not to use nuclear weapons as a means of warfare unless first attacked by an adversary using nuclear weapons. Earlier, the concept had also been applied to chemical and biological warfare. India first adopted a “No first use” policy after its second nuclear tests, Pokhran-II, in 1998. In August 1999, the Indian government released a draft of the doctrine which asserts that nuclear weapons are solely for deterrence and that India will pursue a policy of “retaliation only”. The document also maintains that India “will not be the first to initiate a nuclear first strike, but will respond with punitive retaliation should deterrence fail” and that decisions to authorise the use of nuclear weapons would be made by the Prime Minister or his ‘designated successor(s)’. Why India should retain this policy? Adopting a no-first use policy enables New Delhi to keep the nuclear threshold high, especially as Pakistan tries to lower the threshold by developing tactical nuclear weapons, the Hatf-9 with 60km range. It must also be noted that New Delhi is not bordered by just one nuclear weapon state. China adopts a no-first use policy and, in spite of calls for Beijing to revise its no-first use doctrine, it is unlikely to do so. Hence, if New Delhi gave up its no-first use doctrine, it could give Beijing a chance to adopt a first strike policy and shift blame on India. In fact, India’s adoption of a first strike policy would be an easy excuse for Beijing to give up its no-first use doctrine against the United States and Russia as well. Moreover, India has always promoted herself as a responsible nuclear weapon state. Hence, a first strike policy would severely damage India’s reputation as a responsible nuclear weapon state. This means that while India would not be resilient to any nuclear attack by its adversaries, at the same time, it will not act as a villain who tries to bully its adversaries by threatening to strike first. Also, it is India’s no first use doctrine that has enabled both Pakistan and India to keep their nuclear arsenal in a de-mated posture rather than a ready deterrent posture. This means nuclear warheads are not mated with the delivery systems. This reduces the chances of nuclear terrorism in Pakistan and also reduces the likelihood of an accidental launch of a nuclear weapon. A first strike policy by India may not have allowed Pakistan to keep their nuclear arsenal in a de-mated posture. There is also the issue of ballistic missile defense being developed by India which is highly destabilizing in nature and hence, New Delhi would continue to resort to using its no-first use doctrine in order to prevent instability in the South Asian region. A first-strike policy, coupled with a ballistic missile defense system, could provoke Pakistan to launch a nuclear pre-emptive strike against India. By adopting a no-first use doctrine, New Delhi has also made it evident that nuclear weapons are indeed the weapons of last resort. Abandoning this doctrine would make it evident that India considers the option of using nuclear weapons in the initial phases of the conflict. In fact, India’s nuclear strategy is dependent on punitive retaliation. This strategy itself acts as deterrence against Pakistan. The region has three major nuclear powers, Pakistan, China and India. Since relations with the other two nuclear powers of the region are unstable, India must always be prepared for an armed conflict. China like India also professes a NFU nuclear policy, while Pakistan makes no such claims. India could face hostilities against either nation or in a worst-case scenario against both simultaneously. India’s nuclear policy therefore needs to be understood in this light. Pakistan professing its right to employ nuclear weapons is based on its fear of India’s conventional superiority. Since the announcement by India of the cold start doctrine, implying launching swift operations from the line of march even before their defensive forces are deployed and prepared, made Pakistan resort to development and deployment of tactical nuclear weapons. Its aim was to stem the Indian offensive by employing these weapons, even in their own territory, before a major town was threatened. This has compelled India to consider multiple operational plans below possible nuclear threshold levels. A policy enunciated by a nation is a confirmation of the nation’s preparation for countering its expected threats as also its commitment to international obligations and regulations. There cannot be a policy against one country and a different one against another. India’s nuclear policy, like that of other nations, is based on its strategic threat perceptions. India has always projected herself as the firm supporter of nuclear disarmament. She has been the only state to call for a Nuclear Weapons Convention that would ban and eliminate nuclear weapons. However, it is India’s no-first use stance that enables New Delhi to vouch for a nuclear weapons free world. Therefore, India’s strategy of maintaining a ‘minimum credible deterrent’ should be married successfully with its no first use doctrine. Instead of focusing on adopting a first strike policy, India must work towards strengthening its counter strike and second strike capability. India’s third leg, its sea based nuclear deterrence, must be strengthened at the earliest. Long range submarine launched missiles could enable New Delhi to enhance the survivability of its nuclear arsenal. As India’s command and control would continue to get robust, the no-first use doctrine would also be strengthened. A nation lays down its nuclear policy for international consumption. Mature nations always pursue a NFU policy. In the present strategic context, there is no necessity for India to change its existing nuclear doctrine. There are no immediate threats facing the nation which could escalate into a nuclear conflict. Further, as India seeks to establish its credentials in the international comity as a responsible nation and a growing economic power, it should also project the same by means of its nuclear doctrine. At the same time, New Delhi must take the effort of making its neighbors believe in its nuclear doctrine through effective confidence building measures.